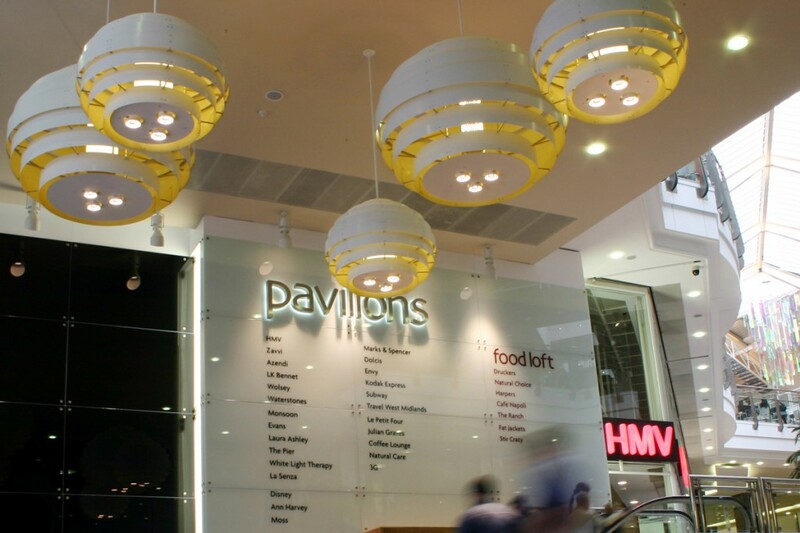 into were appointed by the client and Air to revitalise the lighting to the existing shopping centre; concentrating on the entrance, circulation spaces, seating areas and food court. The aim was to create a more inviting, social and relaxed shopping experience. By using a mixture of large bespoke specials, metal-halide downlights and projectors all spaces were illuminated in a more interesting and unique style. 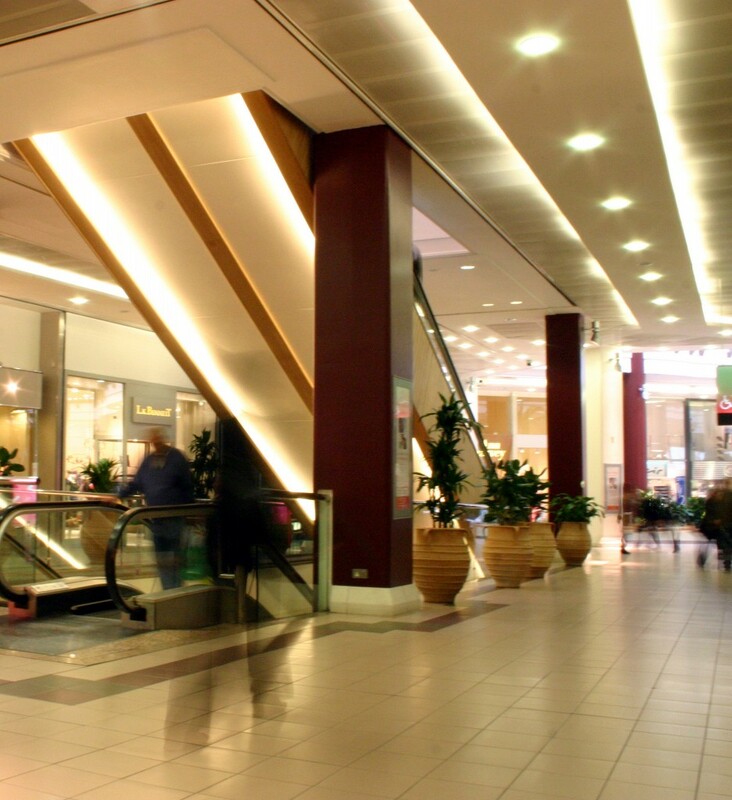 Recessed metal-halide downlights and surface-mounted projectors were introduced to the human scale areas/elevations. into utilised the use of concealed LED details within the bench seating to create a halo illumination on the floor and seating areas, providing a relaxed seated environment. 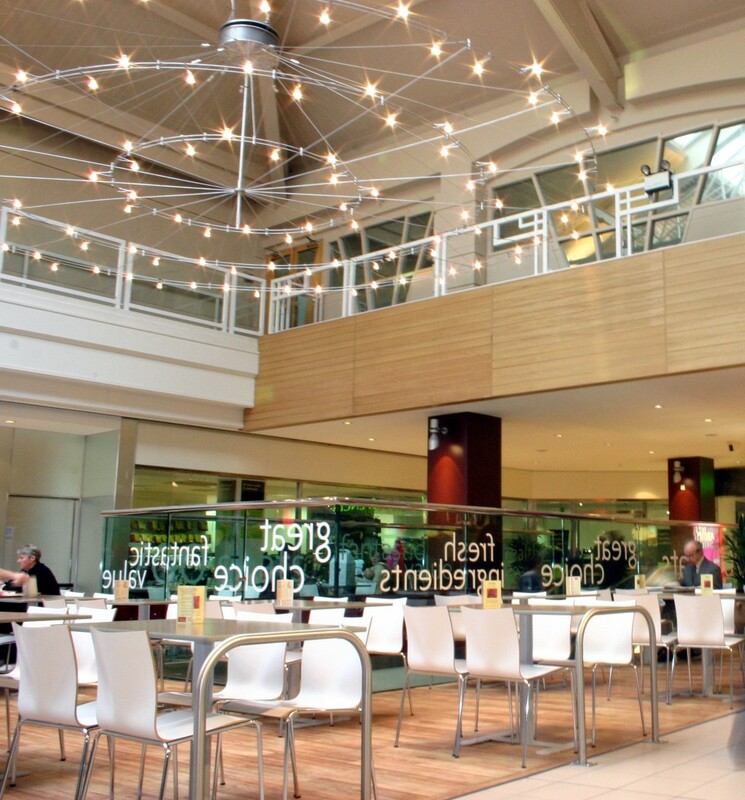 The large space is effectively lit using powerful specified fittings and projects , and interested lighting placements. 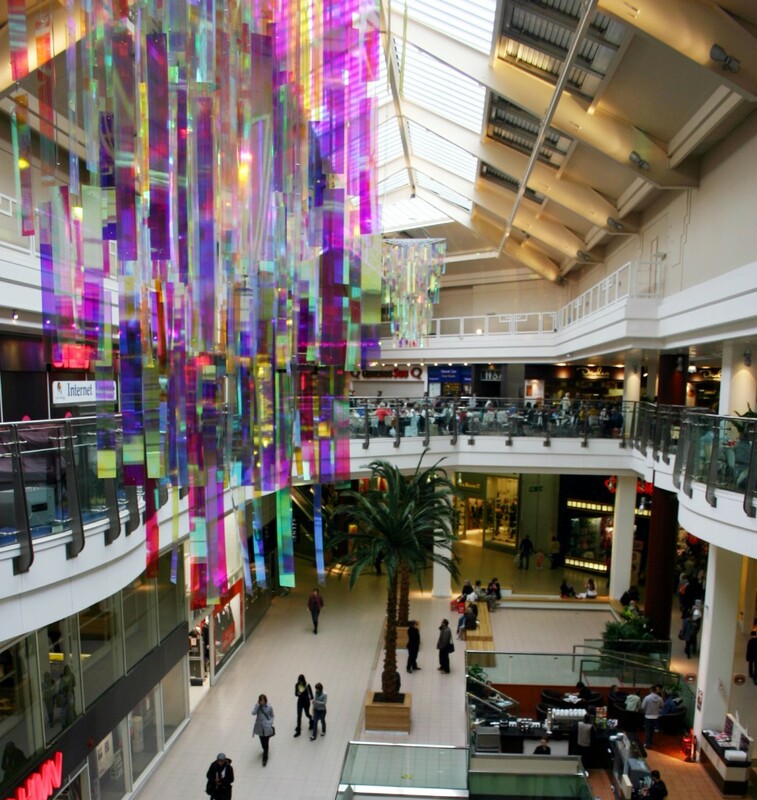 The project was received with great acclaim and the shopping centre has grown in footfall and revenue year on year.